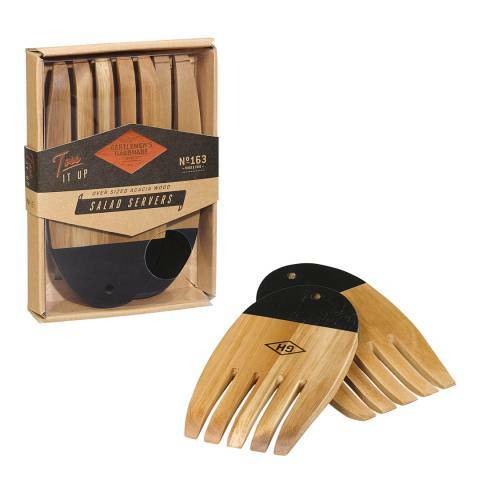 Dish up a generous portion with Gentlemen's Hardware's wooden salad servers. Made from acacia wood, each server has a rounded end and four slots to help pick up salad. Complete with painted black ends and Gentlemen's Hardware branding, the rustic style will complement any serving dish or kitchen table. Perfect for garden parties or buffets, these salad servers make it easy to help yourself to a serving of salad.